STLFC will be without head coach Anthony Pulis as well as captain Jonathan Barden. Pierre Da Silva and Cameron Lindley have also been acquired on loan from Orlando City SC. Stream the match through ESPN+ or join the St. Louligans at Kirkwood Station Brewing Company in Kirkwood. It can also be seen in the St. Louis area live on KPLR 11. 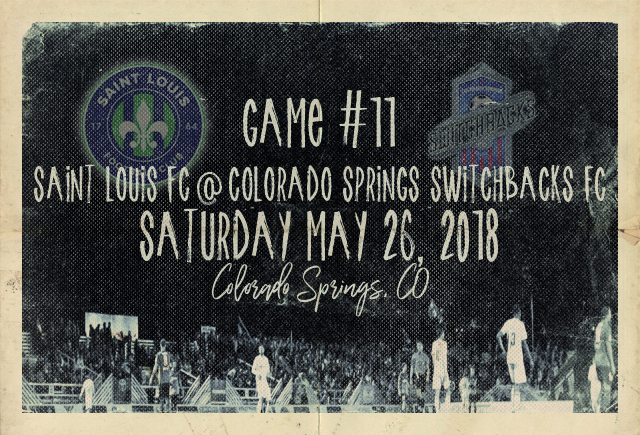 Saint Louis FC takes on Colorado Springs Switchbacks FC this Saturday in Colorado. Colorado Springs is 4-6-2 on the season and currently sits in 7th place in the USL East. Coached by Granite City native Steve Trittschuh, the Switchbacks are 3-1-2 at Weidner Field this season. Saint Louis FC has played two fewer games than the Switchbacks and sits in 9th place in the conference wth a record of 3-2-5. These two clubs met in St. Louis back on March 31 with the home side taking a 1-0 victory on a goal by Kyle Greig and a clean sheet from Jake Fenlason. In its last USL match, Saint Louis FC tied Orange County SC 1-1 in California. The Chupacabras were the victim of an unfortunate own goal in the 78th minute, but got a goal of its own from Lewish Hilton in the 82nd minute to draw even. The team has played two matches in the U.S. Open Cup since its last USL match, both on the road. It beat Duluth FC 2-0 in Minnesota in its opening match on May 16 and fell to Louisville City FC 1-0 earlier this week. Switchbacks FC lost 1-0 to Oklahoma City Energy FC on May 19th in its last USL match. Saint Louis FC announced earlier this week that it had acquired midfielder Cameron Lindley and forward Pierre Da Silva on loan from Orlando City SC of Major League Soccer. The length of both loans are limited to just Saturday’s match in Colorado. A native of Carmel, Indiana. Lindley signed with Orlando City after playing two years of college soccer at North Carolina. He earned multiple awards during his time as a Tar Heel, including ACC Midfielder of the Year, ACC Forward of the Year and Top Drawer Soccer’s National Freshman of the Year award. Lindley had played in the Chicago Fire system for several years, but his rights were traded to Orlando City after he informed Chicago Fire general manager Nelson Rodriquez that he did not want to begin his professional soccer career in Chicago. The 19-year old De Silva was signed by Orlando City SC in January of 2017. His signing marked a historic moment for the club, as he became player to start with the Orlando City Academy, progress to the Orlando City B USL side and then get signed by the senior club. Both players have represented the United States internationally at various levels and will be eligible Saturday in Colorado. Da Silva has not been featured in any games for Orlando City this season while Lindley has not been featured since March 31. Edward Opoku, who came to St. Louis on loan from Columbus Crew SC last month, has seemingly rejoined Columbus. A story posted last night by The Columbus Dispatch mentioned a Wednesday scrimmage between the club’s reserve and Academy players where Opoku scored. The Chupcabras fell 1-0 Wednesday to Louisville City FC in the third round of the 2018 Lamar Hunt U.S. Open Cup. The loan goal of the match came on a wonderous strike by Lou City defender Sean Totsch in the 58th minute. One horse racing writer who was at the game called the goal the best he’s ever seen in person. 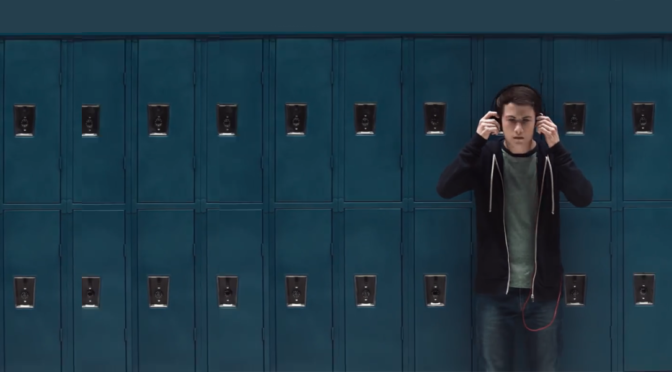 Even in this short video shared on Twitter, it looks remarkable. Louisville City will host Major League Soccer’s New England Revolution on June 6 in the fourth round of the tournament. Saint Louis will be without its head coach, Anthony Pulis, and captain, Jonathan Barden, in Colorado. Barden was suspended as a result being shown a red card against Orange County SC. Pulis was “dismissed from the technical area” after Barden was sent off, resulting in his suspension. Considering that Lindley and Da Silva are both arriving on one-match loans, one would expect both players to be featured. The Mane Land will definitely be hoping those two players are given significant minutes on the pitch Saturday. The first 500 fans in attendance at Weidner Field in Colorado Springs Saturday night will receive a Ziggy bobblehead courtesy of Fox 21 News. Ziggy is Switchbacks FC’s moutain goat mascot. Goat Patch Brewing will also be donating $1 for every It Takes A Tribe Red Ales purchased at either Weidner Field or the adjacent Tap Room to Angels of America’s Fallen. While Weidner Field’s elevation can cause problems for visiting clubs, as Mark Turner of Last Word on Soccer points out here, it isn’t exactly a great pitch for either team to play on. Tickets to Saturday’s match start at $12. As an additional perk, all beers are just $1 for the first 30 minutes after the gates open for games at Weidner. The St. Louligans will be hosting a watch party for Saturday’s match at Kirkwood Station Brewing Company in Kirkwood. Join the supporters group for delicious beers and food while watching the Chupacabras in Colorado. As a reminder, kick-off is set for 7 pm central and you schould definitely listen to the latest edition of the This Is Silly! podcast before then, but it is not a requirement. The next STLFC match at Toyota Stadium at World Wide Technology Soccer Park in Fenton takes place this Wednesday, May 30 against Phoenix Rising FC. The team also plays at home next Saturday, June 2, against Swope Park. Fans can take advantage of a special 4 for $44 ticket offer for that match. Former Chelsea star Didier Drogba, who is part-owner of Phoenix Rising FC, is not expected to play or drink from any water bottles in Fenton on Wednesday.